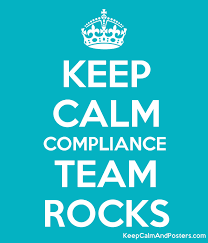 Compliance is the name of the game! Sometimes the rules change. Maintaining compliance keeps the industry moving forward. If you’re going to be in the cannabis industry, you want to do it right from the beginning! Here are some highlights the CannaLaw Group wrote about the importance of following the rules. Well run, successful companies comply with the law. This means all laws , all applica ble states, counties, cities, towns, and other jurisdictions. If you are operating a business you should approach compliance from the perspective that you cannot “get out of” legal violations by arguing that you were unaware of or did not understand the regulations. To read more of their article, click here. If you’re ready to take your team to the next level of standards excellence, let us train them with our Sell-SMaRT™ program. We offer a discount for private classes. Email Heather@CannabisTrainers.com for more info. Previous PostAppreciation – Thank you, Jeanne! I appreciate you sharing some insights about the importance of complying with the rules if you’re going to be in the cannabis industry. For one, it is important that you identify applicable laws and regulations. We already know that there are certain laws that may be legal in one state and illegal in another. Hence, it’s important that you are aware of all the restrictions with regards to using and planting cannabis seeds. Ever heard the saying, “Ignorance of the law is not an excuse?” I would definitely take this into account and make sure I comply with the rules if I were to be involved in the cannabis industry. Thanks.